New ballroom puts Blackburn at the top. 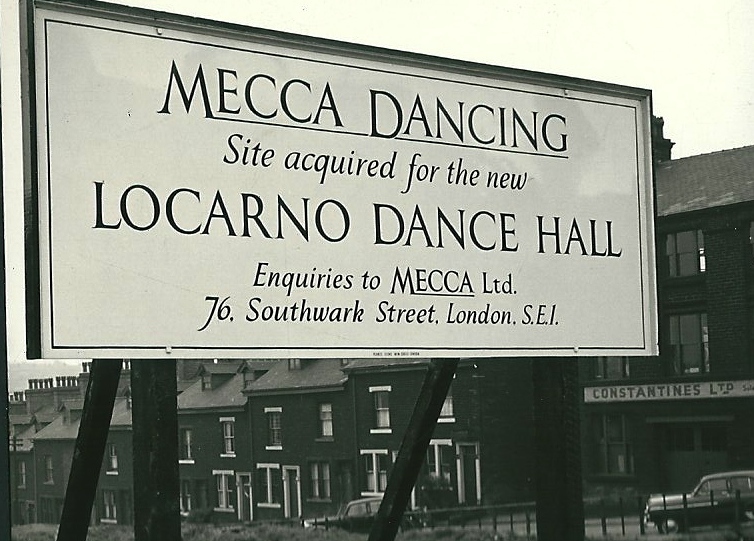 To their nation-wide chain of splendid dance halls the Mecca Organisation has this week added the £130,000 Locarno Ballroom, Blackburn. This makes Blackburn the “tops” in the dance world. 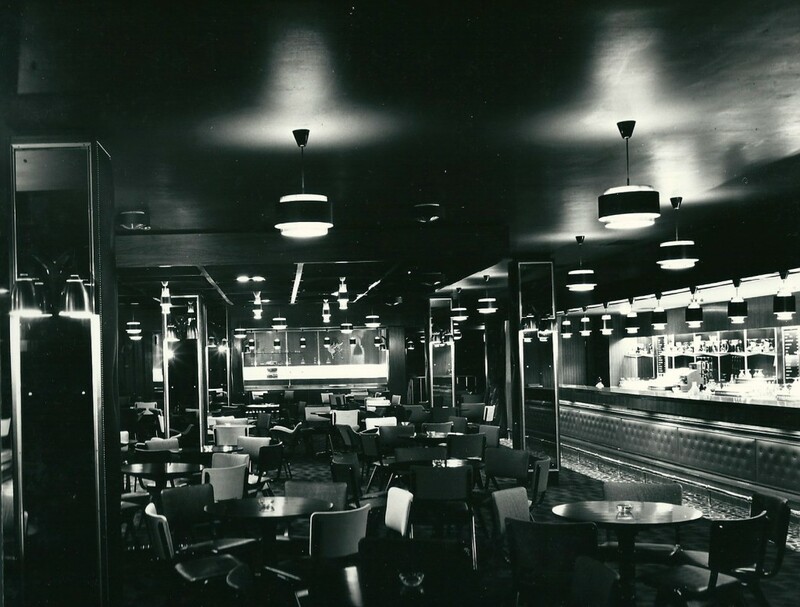 In the world of publicity the word “fabulous” is one of the most overworked : for that reason on is loth to use it but how else can Blackburn’s Locarno Ballroom be described ? Fabulous is the only word to fit the bill. Certainly Blackburn has never before had a dance hall of this standing. The transformation which has taken place within the shell of the former Olympia Cinema in St. Peter Street is of an order to any magician, even Abanazar, green with envy. Planned specially for its purpose and designed on the most modern lines, the Locarno is Mecca’s 75th birthday celebration gift to Blackburn. Its facilities are to be unequalled anywhere in the country. Interest which teenagers are taking in the Locarno has been evident from the large numbers who have been unable to restrain from having a peep inside while alterations have been in progress. It reached such a pitch that a notice telling them the ballroom was not at that time “ready for viewing” had to be put up. The public ‘s opportunity to view the premises will come tomorrow when Mecca will be “At home” from 11 a.m. to 5 p.m. the first public carnival dance takes places in the evening. Local organizations have been quick to claim dates. 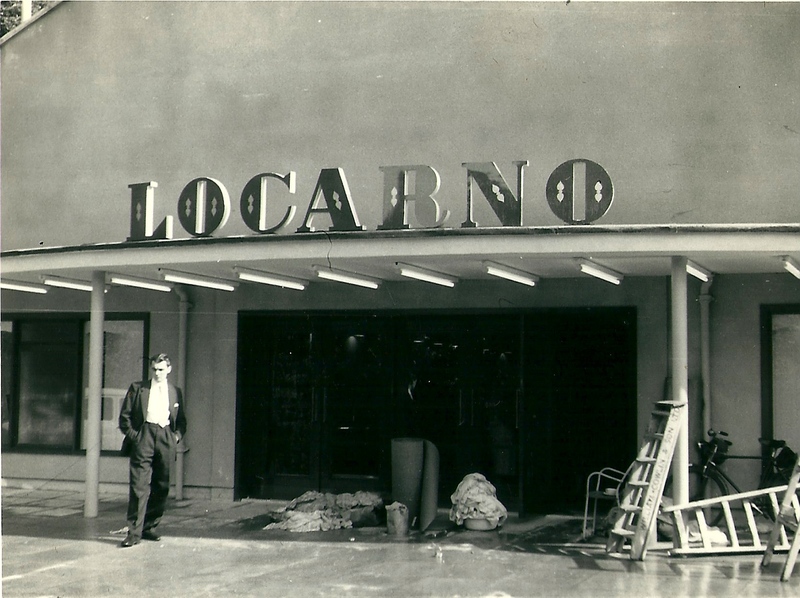 The Locarno is already almost fully booked until the end of March. Mecca took over the empty building in January. From a builder’s point of view it was a little more than a wreck and the first task was to reduce it to a shell – four walls and a roof. Foundations were laid for steel supports for a new balcony round three sides, a revolving stage and a boiler house. The walls were brought back into alignment and a pre-stressed concrete sub-floor was laid ready to receive a dance floor of Canadian maple. Pre-stressed concrete units were set up to carry the new balcony, each unit being covered with a two-inch layer of sand and cement mortar, in turn covered with polished Afromosa hardwood to make dignified supporting columns which carry contemporary brass light light fittings. A new ceiling of expanded metal with plaster finish was installed. This ceiling midnight blue in colour, carries 350 twinkling star lights giving a night effect. There are also seven branched chandeliers of 61 lights each, four groups of spot lights and two large balloon baskets each decorate with the red cross of Lancashire in plastic and illuminated, and a mirrorball. The ballroom is dominated by the magnificent 22ft diameter bandstand with its rich Dutch gold proscenium. The side pillars of the latter have modern treatment – five brass tubes rising to the full height and backed with red plush curtaining, and a large flower box at the foot of each. Gold coloured curtains form the backcloth. There is a power-operated drop of blue suade and mauve swag. Illumination is provided by a battery of over-head spot lamps of the pre-focus type. The proscenium is edged with pip lights which are also continued along the edge of the balconies. The maple dance floor, which alone cost £ 5,000 is bordered by a rubber tiled floor in a red and black diagonal pattern. Beyond this is a seated area in the balconies covered with a deep red plush carpet. Furnishings include bentwood chairs, tables with decorative brass-studded feet and red settees. the wallpaper is helio with an arresting modernistic white pattern. Similar treatment has been given to the actual balconies which have a balustrade supported on contemporary iron work, the design of which features short rods topped with red and yellow spheres. “Another rendezvous at the centre is the new Mecca Bali-room, a £500,000 project managed by Mr. T. Ferris, a 33-year-old Scot. He is brother of Mr. Alan Ferris who about eight years ago, held a similar position in Leeds. Over 2,000 people can be accommodated in the ballroom where in a setting whose decor is rich and luxurious without being garish. The lights are softly suffused, and there is tasteful wall panelling. pillars, magnificent wall mirrors and delicate metalwork to give an air of graceful splendour. There are also two giant projector screens installed alongside the revolving bandstand to provide “mood scene” to fit in with the dance music. 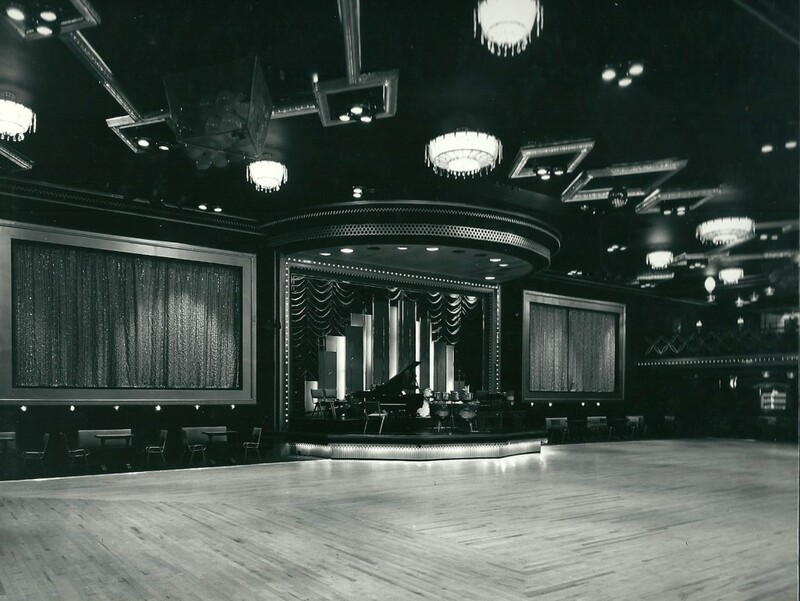 The revolving stage provides for a non-stop flow of music by a 15-piece orchestra and a resident group, there are ultra-violet lighting effects, echo chambers and an electronic organ. Upstairs there is a banqueting room- which can be hired separately from the ballroom for the dinner dances – and the Bali Hai bar cocktail bar as well as an Americana food bar, and Flamingo coffee bar. 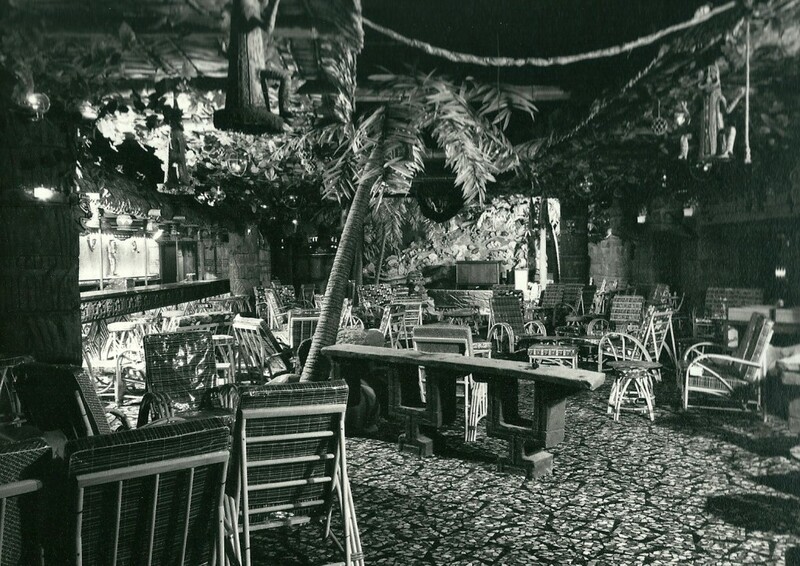 the Bali Hai has Polynesian decor – fishnet drapings, totem-like pillars, grotesque masks, seashell lighting, and bamboo fencing set in front of giant mirrors to give the effect of more similar rooms beyond the bar has also a private entrance leading from the balcony overlooking the street-level pedestrian precinct. Throughout the place the cloakrooms set a high standard in decor and special amenities.